An elephant took a bath in a river and was walking on the road. 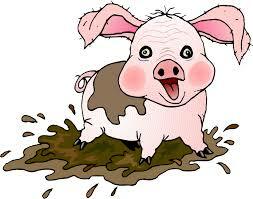 As it neared a bridge, it saw a pig fully soaked in mud coming from the opposite direction. 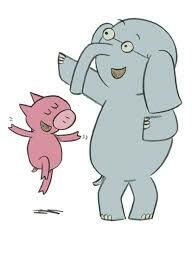 The elephant quietly moved to one side, allowed the dirty pig to pass and then continued its onward journey. The unclean pig later spoke to its friends in arrogance, “See how great I am; even the elephant was afraid of me and moved to one side to let me pass”. Realized souls will avoid contact with negativity not out of fear, but out of desire to keep away from impurity though they are strong enough to destroy the impurity. We need not react to every opinion, every comment, or every situation. We must choose our battles wisely… Not everything deserves our time and attention. Reacting or behaving in a same way will take away our peace of mind. There lived a happy cobbler who passed his days working and singing from morning till night; rain or shine. A rich man who passed by the cobbler daily felt sad at the sight of the poor cobbler working so hard. He wanted to help him. One day he asked the cobbler “Hello man, I see you working hard daily and wondering how much do you earn in a year?” The cobbler replied, ”I earn enough to make both ends meet.” ”I am really sorry to hear that .You must be living in great distress,” said the rich man. “But I am used to this sort of life and I am happy,” said the cobbler. The next day the rich man again came to visit the cobbler. He came with ten thousand rupees in a bag. He said to him, ”Look, my friend! I have brought ten thousand rupees for you. Keep this money and remove your distress. ”The cobbler was greatly surprised. At first he refused to take the money. The rich man told him that he could use the money in times of difficulties. The cobbler took the money from the rich man and thanked him. Now a new fear troubled the cobbler. He said to himself, ”Ten thousand rupees is a lot of money. ” He could not think where to keep the money safe. He dug a hole in his hut and kept the money there. But he always thought that his money could be stolen any time. This thought kept him awake and he lost his sleep every night. He lost his smile, happiness and forgot to sing. He could not devote himself to his work. As a result, his life became more miserable. Peace and happiness vanished from his life. 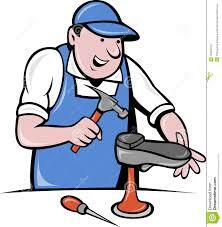 The cobbler gradually realized that he had money, but no peace of mind. Money does not necessarily bring happiness. It is difficult to earn money and even more difficult to safeguard it. It brings more fear and anxiety to protect the wealth. The money which should have brought happiness brought more restlessness and fear. This does not mean that money is not good. It is good to have enough money for our needs and comfort and a little more to be of help to others. Swami Narayana was not only a saint but also a seeker in himself. He told these villagers, “I shall find a way of stopping this kicking.” He took a long stick and, sitting a little away from the cow, slowly touched the cow’s leg with that stick; it gave a kick immediately. After a few seconds he again touched it; it gave another kick. He sat there for the whole day, without taking food from morning to evening, doing only one work – touching the leg of the cow with the stick. To the surprise of all the people who were witnessing this phenomenon, for a continuous twelve hours, this touching went on. 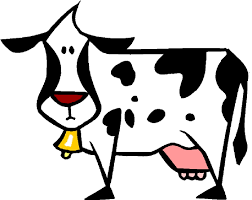 How long will the cow give a kick? It is also a living being. It got fed up, tired, and stopped kicking. Then he told them to milk the cow; it never kicked afterwards. Control of mind, senses and desires is not easy; but with constant practice one can tame the mind. A group of monkeys planted a mango garden. They planted the saplings, watered them a few days, and plucked them from off the ground to see how deep the roots had gone! They wanted them to grow fast and yield fruits, but they were unaware of the process by which alone they could get the fruits they craved for. They wanted to get the results of their act immediately. They didn’t realise that lot of hard work, patience and perseverance is required to get fruits. Everything has its time to develop and mature at the right time. We must persevere and work patiently instead of getting anxious about the result. Our duty is to do the work with full commitment and the right time we will be rewarded. Patience and perseverance goes a long way in achieving success. So let us act right and then claim the fruit. Cultivate with care and collect the harvest. We can be happy with very little in our lives, but the minute we’re given something bigger and better, we want more …and even more! We lose our sleep, our happiness, as the price for our growing needs and desires. There is enough for everyone’s need but not enough for one’s greed. It set the beggar thinking. He looked at himself with torn clothes and came to a conclusion that only the king’s family would be able to attend. Anyways, he gained some courage and went to the palace gates. He requested the guard to allow him to meet the king. The guard went in to see the king. As luck would have it, the beggar was allowed entry. His joy knew no bounds. He went inside and the king enquired about the purpose of his visit. He gained courage and said, “I would love to attend the feast that you will be hosting soon. Can I request you to give me your old attire so that I would be able to join the feast too?” The king readily agreed and gave him one of his robes. The beggar wore the outfit and looked at himself in the mirror. A majestic look indeed! He was very happy with his looks. The king told him that he had gained entry to attend the feast and said something very important to him; “You will have no necessity to wash or clean this dress. You can wear it forever.” With tears in his eyes, he thanked the king profusely. Though he was happy he did not readily believe the king. He was wondering; “What if the attire tore?? I will need my old clothes.” So he packed all his old clothes and carried it along with him. He did not have a place to stay. So wherever he went, he carried the old clothes with him. He could not enjoy the dinner feast that the king hosted because his concentration was more on safeguarding the old clothes. Later when the beggar was in his death bed, the king came to see him. He noticed that the bundle of old clothes was beside the beggar’s pillow. The king felt sorry for him. The beggar remembered the king’s words. The bundle of old clothes had literally spoilt his happiness. It is not just about him. All of us have this bundle of feelings – ENEMITY, JEALOUSY, HATRED, ANGER, WORRIES, so on and so forth. We continue living with all these vices and hence are not able to recognize the beautiful moments and enjoy. We are not able to let go and that’s the root cause of many problems. In palaces, people live like beggars and in orphanage homes, there are people who live like kings. Not the outward appearance but the attitude with which one views life is what matters. We continue to live with past happenings, convert our homes into godowns by stocking things unnecessarily. Our priorities are misplaced and we waste our life in trivial things. Not just the home but our mind is also like a godown storing unnecessary thoughts. Happiness needs no reason. Let us learn to be happy. How many golden opportunities have been missed while we were busy servicing our ego? Every moment is heavy, every situation is nerve-racking, every interaction is tense… an ego-filled heart is always walking on fire. Never can there be a moment of marriage between ego and ease. There is enormous freedom in letting your ego go. Learn to let go, accept situations and surrender to the almighty. 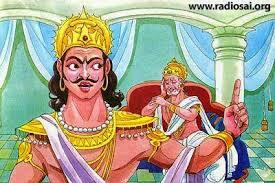 Duryodhana scornfully replied, “The whole kingdom belongs to me. 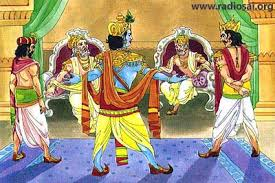 I will not even give land equal to the tip of a needle from my kingdom to the Pandavas. You are always partial to those Pandavas . I will imprison you.” He ordered his soldiers to imprison Krishna . Krishna showed to his cosmic from (virata roopa); everybody was scared to see this and later Krishna left the court. The inevitable happened. When the request for peace and truce was refuted; to protect the dharma Lord willed the war of Mahabharata. When one’s mind is filled with ego, jealousy, hatred and greed; one loses his/her sense of discrimination and brings destruction surely to oneself and sometimes the whole family or the race as seen in Mahabharata. 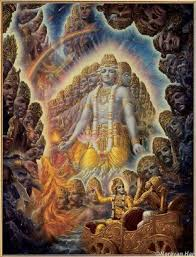 Lord Krishna has said in the Bhagvad Gita, when the ‘dharma’ (righteousness) declines; I manifest again and again to uplift the good and destroy the evil. The above story illustrates how Lord Krishna showed His divinity when dharma was at stake.